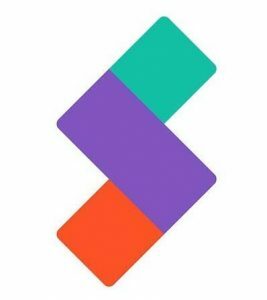 SlideApp , a lock screen app that awards Android users for reading content, has announced its series A round of funding worth 3.6 million USD. The funding was led by Songhyun Investment, a leading South Korean VC firm. The app had previously raised $1.2 Million USD as seed funding. “We focus on providing quality content to our users as well as detailed and relevant analytics to our B2B customer base. The fresh round of investment will be used to enhance our targeting capabilities and unique advertising promotions,” Nakul Sethi, Co-founder and India Digital Head said . The app, which is just over a year old now, has witnessed a tremendous response so far has already amassed a download base of 5+ Million. The platform plans to utilise the newly raised funds to scale its user base, develop products and strengthen its brand presence in the market. It will also use part of the funding to further develop the platform in order to make it more and more innovative and user-friendly. Commenting on the company’s vision Amrita Gujral, Co-Founder and India Business Head, said ”Our aim is to improve and enhance the experience of existing users and constantly focusing on acquiring new users. We will continue to multiply our outreach as much as we can and build upon providing value to our users. Also, relentless support to advertisers in ways that result in the maximum conversion for them is our endeavour. The mobile media platform incentivizes its mobile users by awarding credit points everytime they read content customised to their preference .The reward points accumulated can then be further utilized for mobile recharges. The platform also doubles as new age advertising tool which allows it to cater successfully to the B2B segment. SlideApp has become the largest lockscreen mobile platform for an advertiser to get to new users at relatively low marketing costs.